It ‘s 2-way bass reflex speaker that thanks to the design of the cabinet provides bass extension with the delicacy and harmony of the small two-way by stand. It is produced in various finishes both externally and with exceptional partners (drivers) that gradually have become synergistic to improve sonic performance . The generous cabinet and the shape of the internal reflections, the absorbent materials and the exterior diamond or rounded milled that favour the dispersion of sound giving the feeling of listening to a great three-way speaker with the naturalness and ease of drive and inclusion of the environment of two ways. The combination of sounds of the drivers used in the T10 is focused on the synergy between the woofer low-mass, so speed and quickness and extension transients, which combines the naturalness and definition of the various soft dome tweeter or ceramic inverting profile. T 10 : The drivers. 160 mm woofer and tweeter 28 mm soft dome. T10 SE: Same drivers but crossover with selected components and rounded cabinet with solid wood walnut or cherry. The drivers. 160 mm woofer with voice coil 75mm and tweeter 28 mm soft dome. Easy to drive and interface in environment like amplifications of quality both in the solid state in which valves also of low power (20Watts). 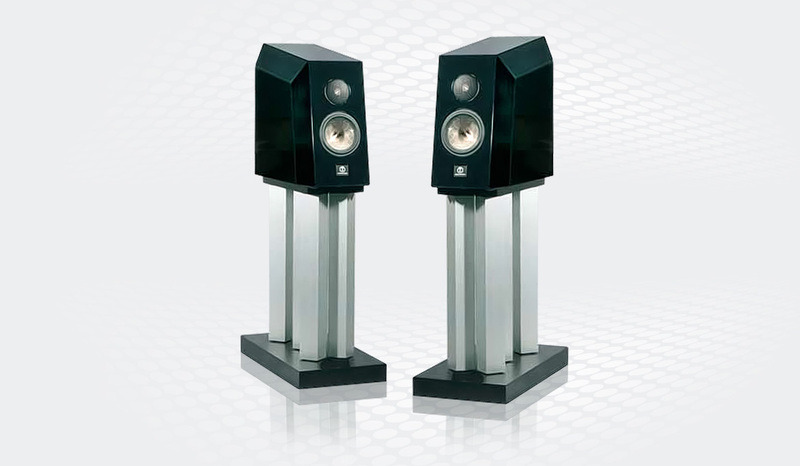 T10 Extended Z: The version sounding more refined and elite. Velvety timbre and harmonic characteristic. diriger and ceramic (or diamond on request) to finish the high range of the micro details , to form a sound of rare delicacy and sweetness. For small rooms and nearfield listening. For the series Extended Z it’s possible request to fit the tweeter Diamond Accuton 20 mm with no measurable distortion rates brings extension to 100,000 hertz .. Accurate T10: The top of the range with more performances in bass extension with handcrafted woofer voice coil 50 mm and Tw diamond. Wonderful union of sweetness of timbre , force ,soundstage and frequency extension. Easy to drive and insert into the environment. The crossover, hidden , artisan , wired in the air is 6 db per octave, born on the drivers chosen and these are chosen for the type of cross. Phase , impedance curves , frequency response , are analyzed and choice working of sound and of analysis and at the same time , thanks to the analysis system SC3 created at the beginning of Extreme Audio and always saw that discoveries of what is sound from what is annoyance . Each component is chosen and selected to be the best at what utility and work space. 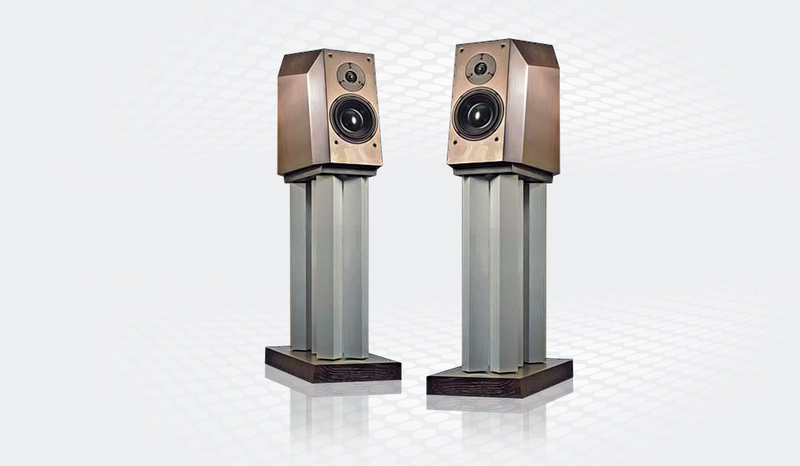 They are built by hand in pairs for each pair of speakers with selected components of Hi-end quality. Prepared for bi-wiring and bi-amplification. Multistranded wood veneers and high density MDF, all with different widths, have been pressed together by our skilled craftsmen in order to help absorbing undesired vibrations and cancel resonances. T10/T10 Accurate : Walnut, Ebony, Cherry and Oak …. 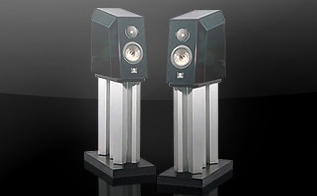 T10 Extended Z : black lacquered piano and velvet parties. Sensibility (in listening surrounding) : 88 dB. Power suggest : 20 – 130 W.
Frequency response : 39 – 22000 ± 3 dB. 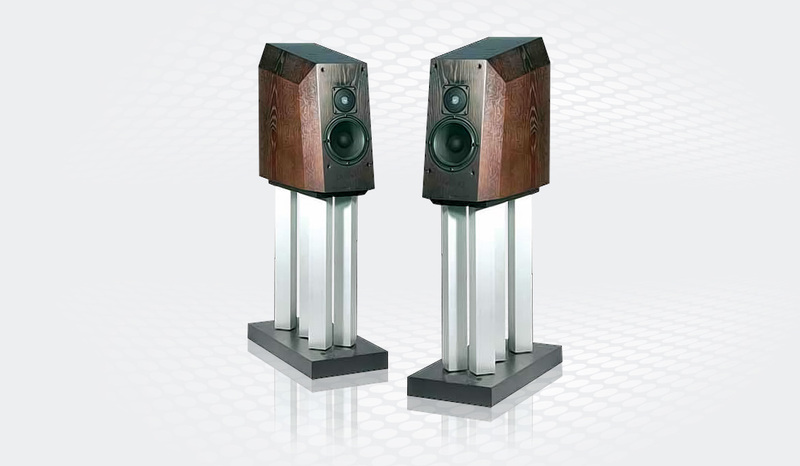 “ It ‘s 2-way bass reflex speaker that thanks to the design of the cabinet provides bass extension with the delicacy and harmony of the small two-way by stand.